Along with the iOS 9 for the iPhone and iPad, Apple has recently unveiled the new operating system for the Apple Watch, Watch OS2. Though had been slated for release yesterday on September 16, Apple has decided to forgo the release date at a yet undetermined time due to a big, although a report from Techcrunch mentioned that it will roll out “shortly”. Hint: it’s because of a bug. Regardless, the new and improved operating system looks promising: it is armed with a number of new features, had its native apps supported, and is an improved version of its predecessor. The Apple Watch was criticized due to its slow-performing apps. However, this can be attributed to the limitations set by the company to app developers – something that Apple recently lifted. Third-party app developers now have full access to the watch’s sensors, microphone, the Digital Crown, and the Taptic Engine. With this, app developers can now create better applications, build more complex animations, and yes, create better applications for the device. 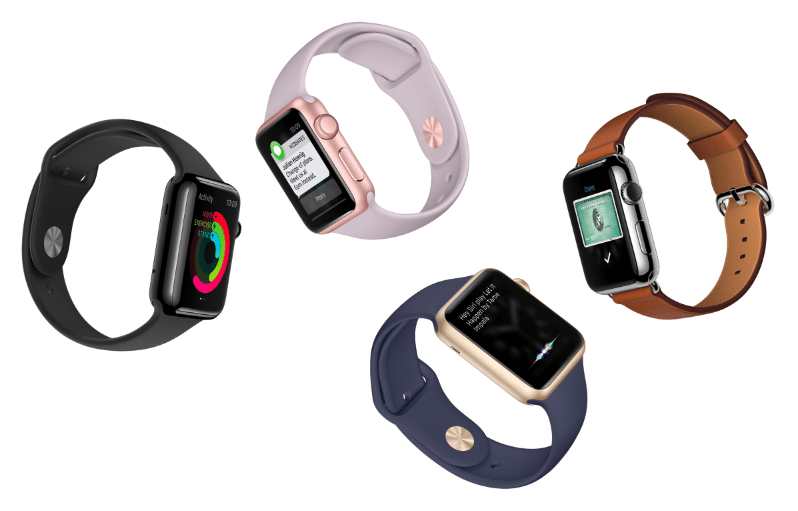 We will likely see an improvement of the Apple Watch’s app inventory in the next few weeks. Watch OS2 provides a new set of watch faces (the background of the watch), providing users with more options. New Faces have been uploaded into the system, and some of them are inspired by popular wallpapers and photographs of famous locations around the world. These include pictures of iconic cities such as New York, Shanghai, and Paris. Users will also be given the option to use their photos – both from online or from their phone – as watch faces. You can customize your options and resort to using a whole photo album as a watch face: by simply raising your wrist when you check the time, a different image pops up every time. Developers cannot create their own watch faces, but they do have the capability to design complications for existing ones. Regardless, it’s pretty obvious that Apple will allow them to do so in future updates. Basically, complications are the pieces of information displayed on the watch face. With the new Watch OS2, you can further customize what you want displayed. Along with the time, you can have the top headlines on a major news outlet displayed, the weather, and even the temperature. Not literally go back in time or head off to the future like the doctor on a certain popular sci-fi show, but to check important timelines, events, weather, and headlines on your Apple Watch’s face by simply turning the crown. For example, this allows you to check the predicted weather conditions for tomorrow’s beach get-together, or see if you have anything planned out. It’s a letdown from the original premise, but hey, it’s a handy feature to have. Apple Watch’s apps will feature a handful of new improvements. You can now reply to e-mails. You could send a quick emoticon or choose from a set of preset and standard replies. You can add more friends. Apple Watch let’s you add more friend screens, which holds up to 12 contacts. It comes in handy for work and other social functions. Digital Touch has vastly improved. It now supports multiple colors on a single canvas which you can send to other Apple Watch users. Apple Watch now displays transit information, letting you know when the next train or bus will arrive. You can also see detailed maps of selected cities on the device. More cards are added into the Apple Pay. You can ask more from Siri, including making her start a workout and look up a word in a dictionary. Watch OS2 also allows the device to connect directly to open WiFi networks (without having to tether from your phone). It also has a redesigned Apple Music interface, and the all new Nightstand feature.